Everybody loves free stuff. However, not everything that comes free is of good quality. But not with this handpicked 30 Finest Free UI Kit 2017. 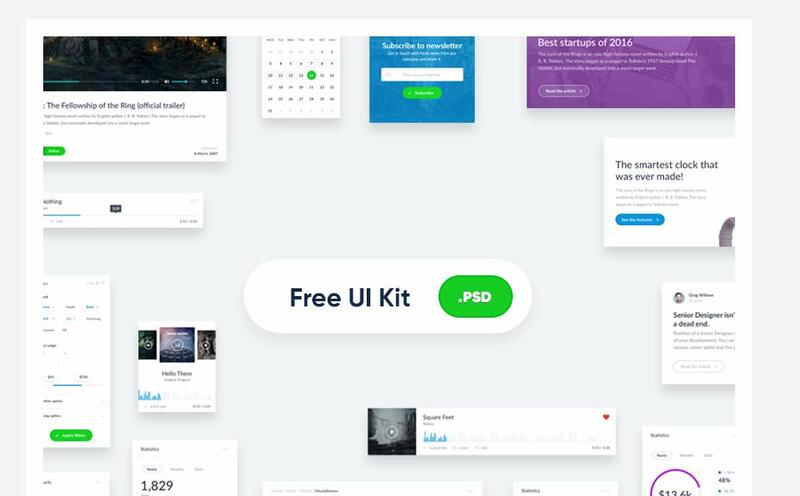 These free UI Kits are collected to give you a beautiful list of useful resources for your next project. A UI kit usually contains buttons, inputs, button groups, selects, checkboxes and radio-buttons, tags, menus, progress bars and sliders, navigation elements and more for the purpose of user interface design. 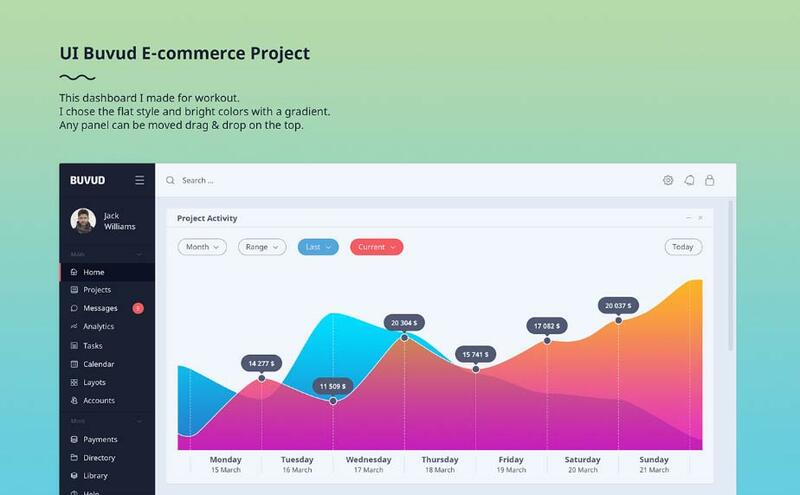 These free UI Kits are created using Photoshop or Sketch that will definitely improve your workflow. 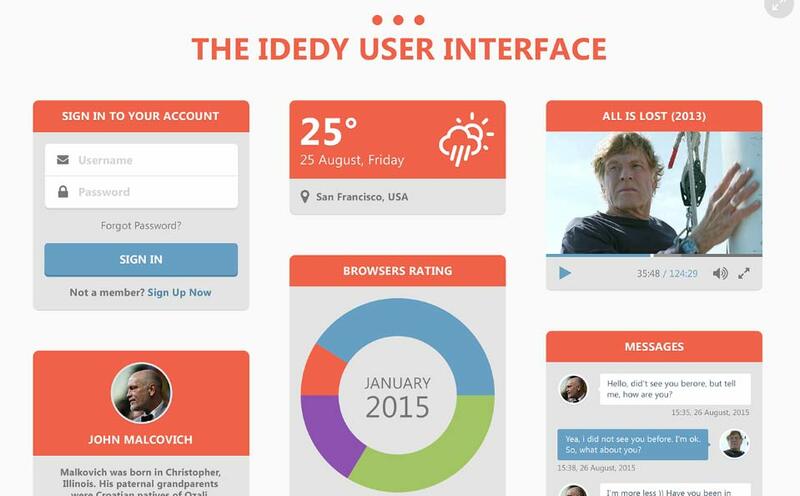 Grab these free UI Kits and solve common problems in your development process. 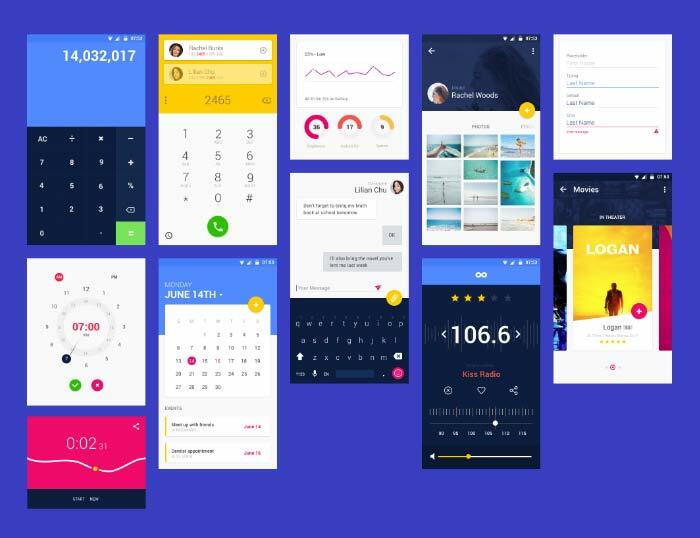 With these UI Kits you will not only save time but also these will save you money. Why spend so much time designing your own when you can just freely grab these high-quality UI Kits. Check out this 30 Finest Free UI Kit 2017 now! 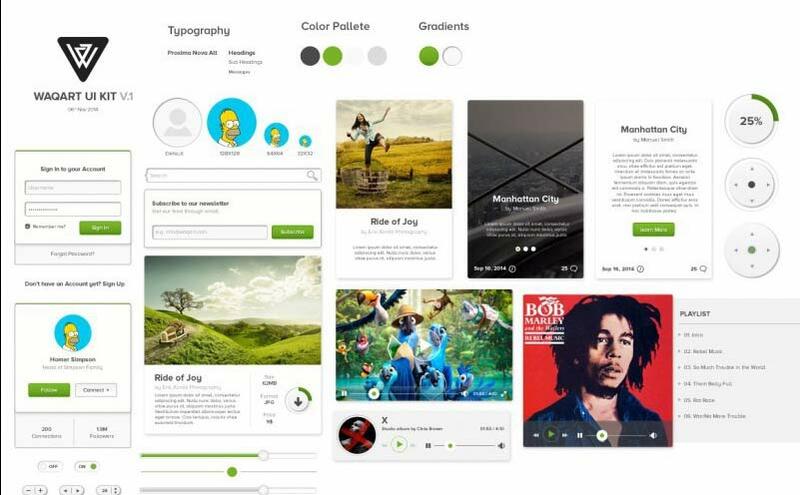 Material UI Kit is a free UI kit for Photoshop, Sketch and Adobe XD. This kit is ideal for calculator, calendar, gallery, radio, chat, statistics, clock, mileage etc. 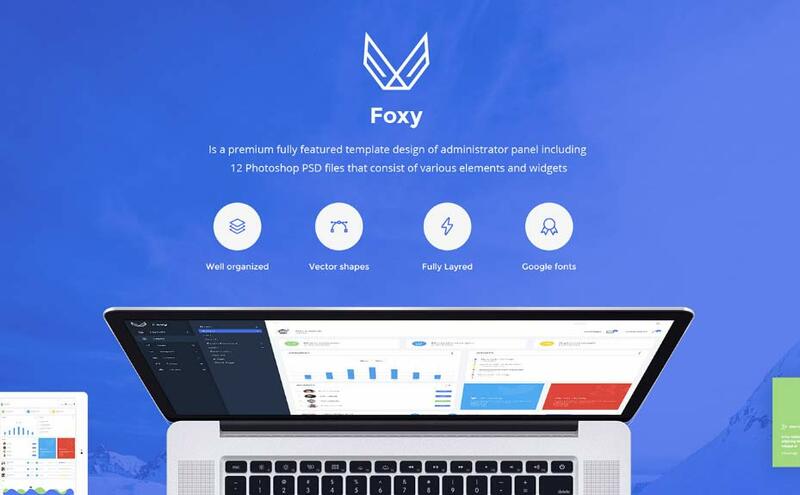 Foxy Admin Panel UI is a free and premium fully featured template design of administrator panel including 12 Photoshop PSD files that consist of various elements and widgets. Components included are for Blogs and Articles, Buttons, Calendars, Charts, Gallery, Progress bar, User Profiles, Colors, Mailbox, Widgets. 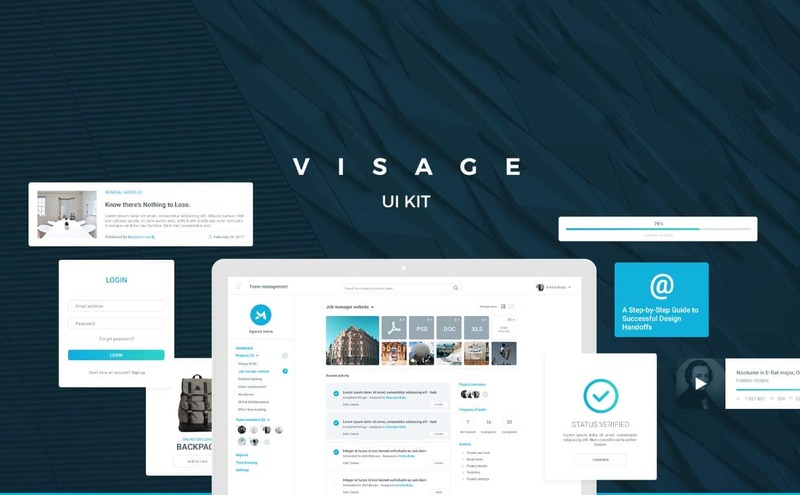 Visage is a free UI kit that comes with 70+ elements for building beautiful websites and unique concepts. It features 7 categories for easy access, from popular topics: Blog, E-Commerce, Media, Admin, Forms, Headers, and Footers. 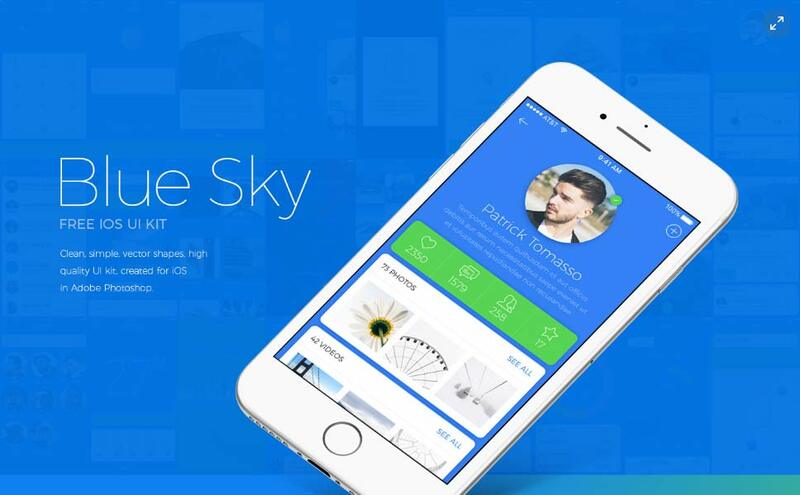 Blue Sky is a free iOs UI Kit with clean, simple and high quality components. This kit has 7 base screens, 7 social screens, 7 media screens and 7 misc screens. Flay Lay is a free UI kit that consist of 11 perfect web elements for commercial and non-commercial purposes. 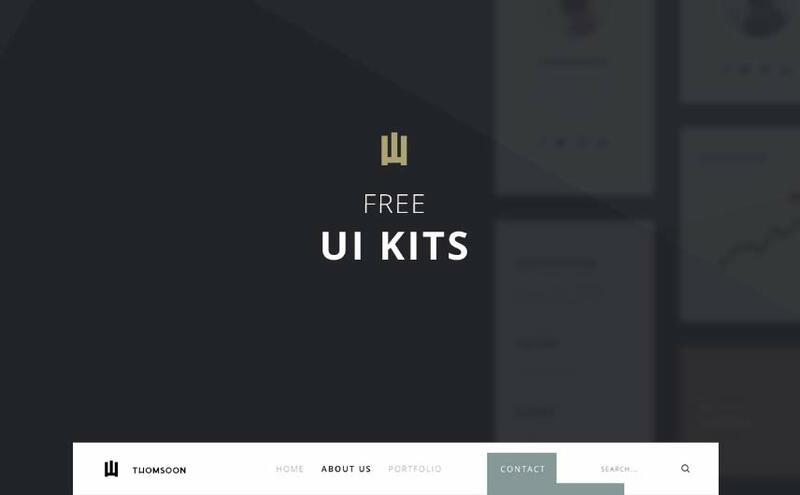 Free UI Kit has a clean and minimal design perfect for any projects you use it with. FREE UI KIT has 55+ multipurpose elements with clean white, minimalist design perfect for graphic design, UI/UX and web design. 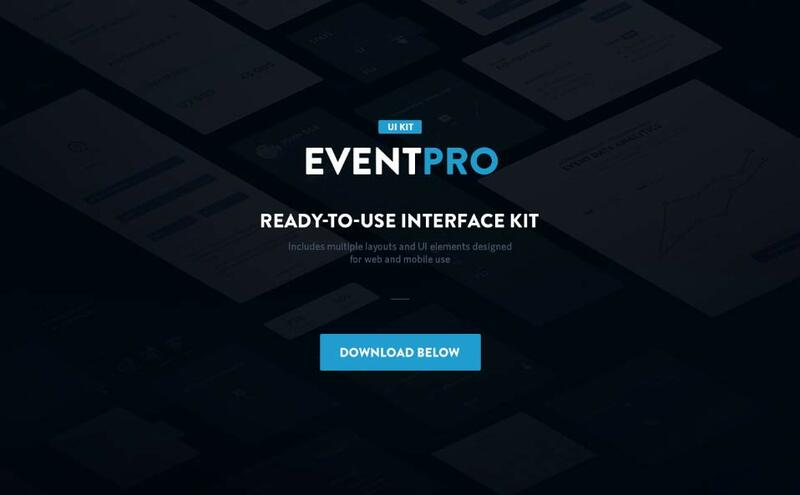 EventPro is created for interaction design, UI/UX and web design. 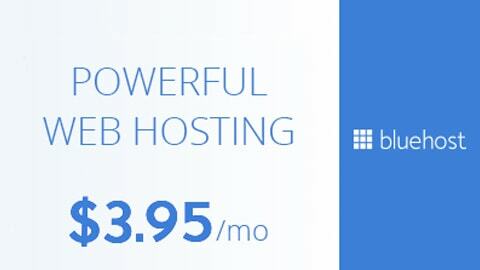 It comes with multiple layouts and UI elements for web and mobile use. 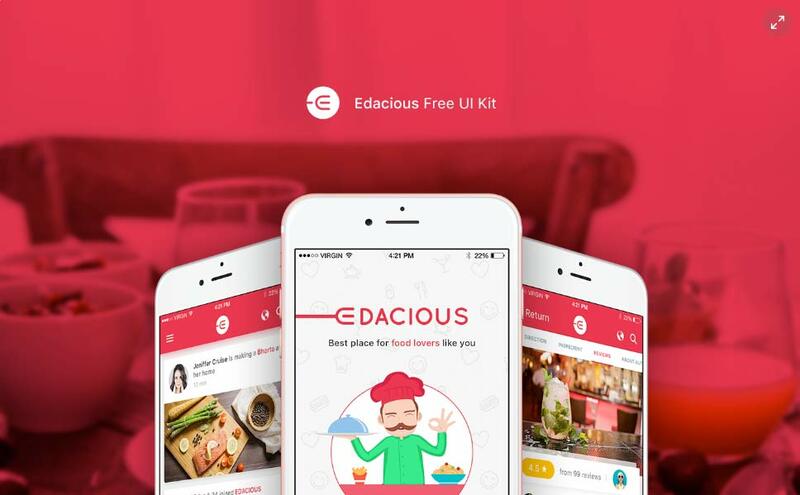 Edacious is a free UI kit perfect for food application. It has App landing page with a user-friendly design. 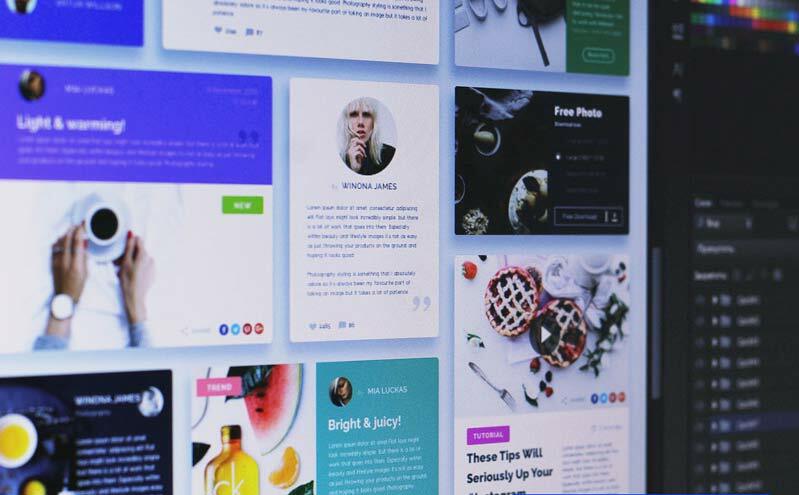 It has a beautiful splash screen interaction and search screen interaction you can make use for your graphic design, UI/UX and web design projects. 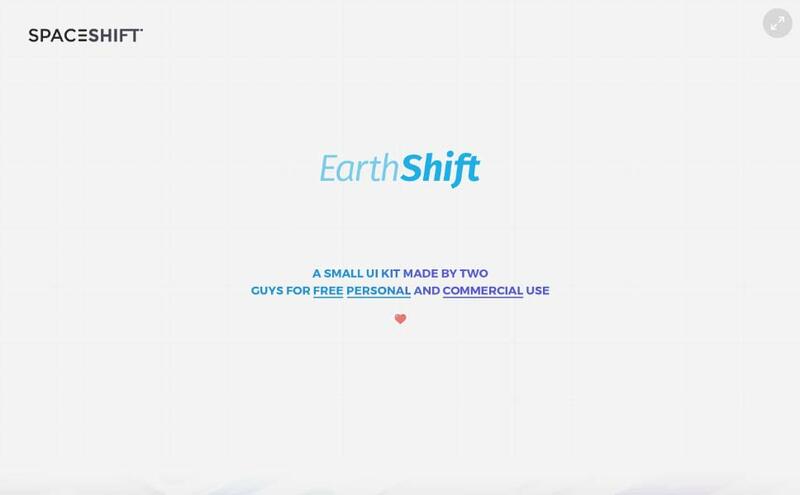 EarthShift is a free UI kit with 21 UI blocks of over 100 UI elements perfect for user interaction and web design. 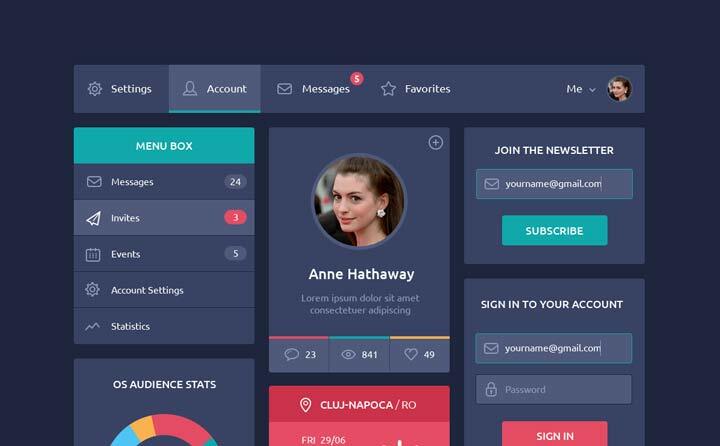 Dashboard UI/UX Kit Design is a free UI kit with a flat style, bright colors and gradient. 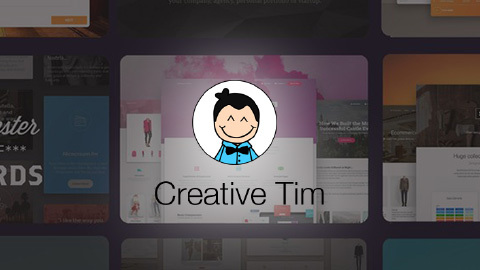 It has icons of simple design with beautiful fonts of five different colors. 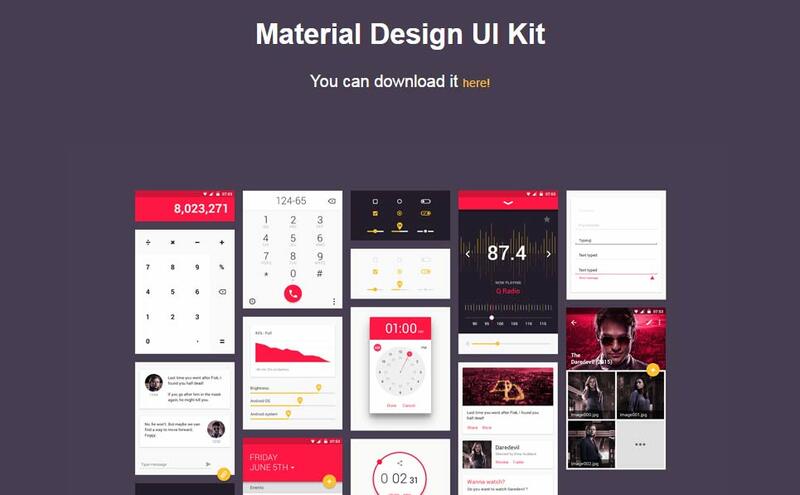 Material Design UI Kit is a free UI kit ideal for UI/UX and web design. It comes with stunning design for calculator, keyboard, keypad, checkboxes, radios, sliders, stopwatch, radio and photo gallery. 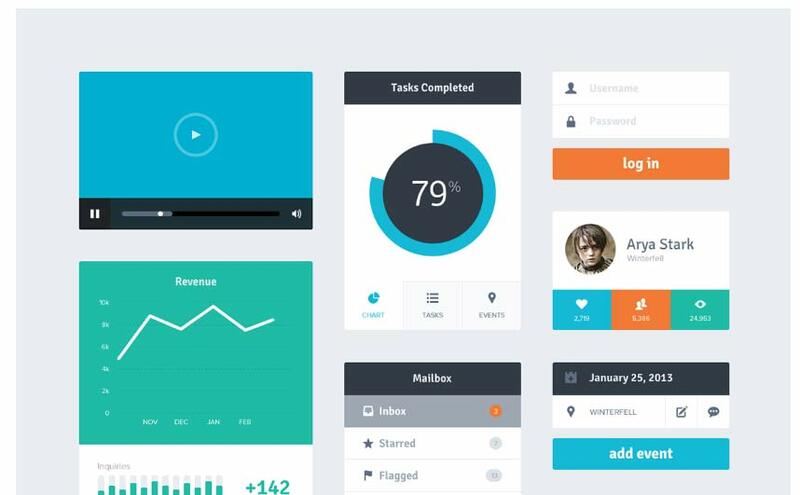 Flat Design UI components is a free UI Kit with stunning designs of elements. It has components for menu inbox, subscribe for newsletter, sign-in form, statistics, calendar, latest tweets and many more. 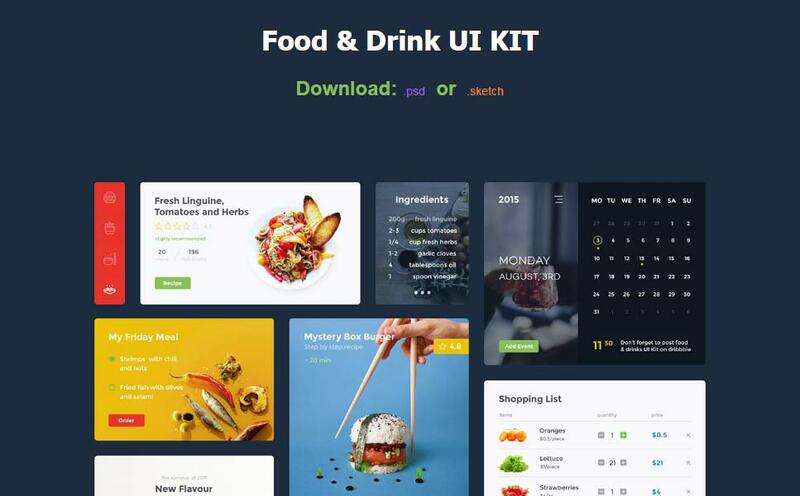 Food & Drink UI Kit is a free UI kit for food and drink branding, UI/UX and web design. It comes with a PSD & Sketch. 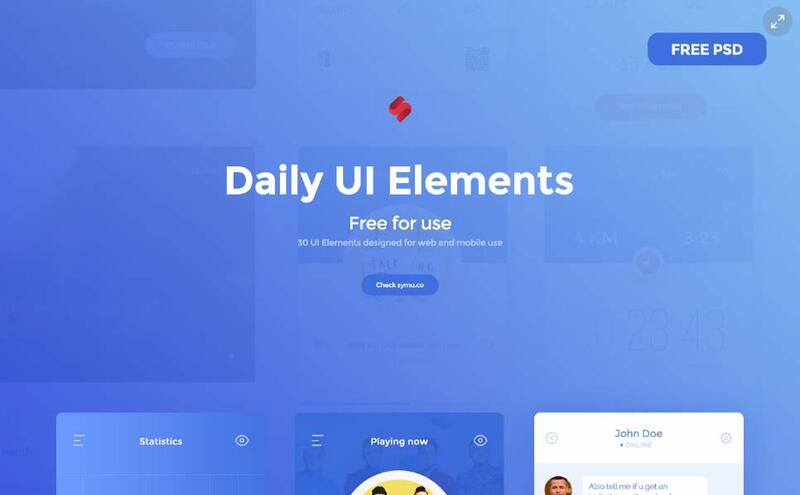 30 UI Elements is a free UI kit for web and mobile use. The neat, elegant and classy designs will always look innovative in suitable projects you use it with. 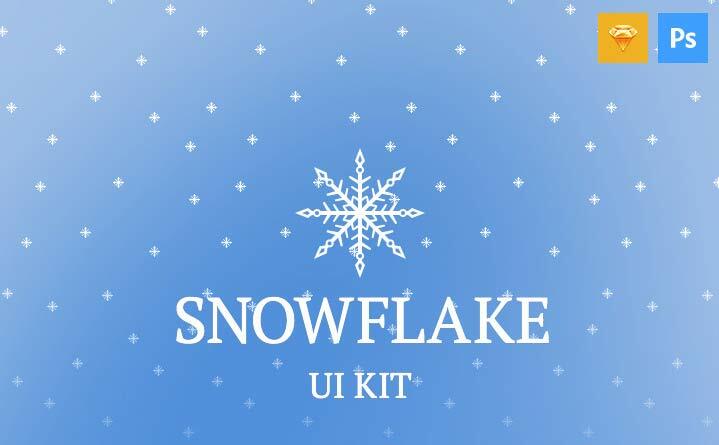 Snowflake UI Kit is a free UI kit perfect for UI/UX and web design. It comes with PAD and Sketch components for login, video player, blog, calendar and a lot more. 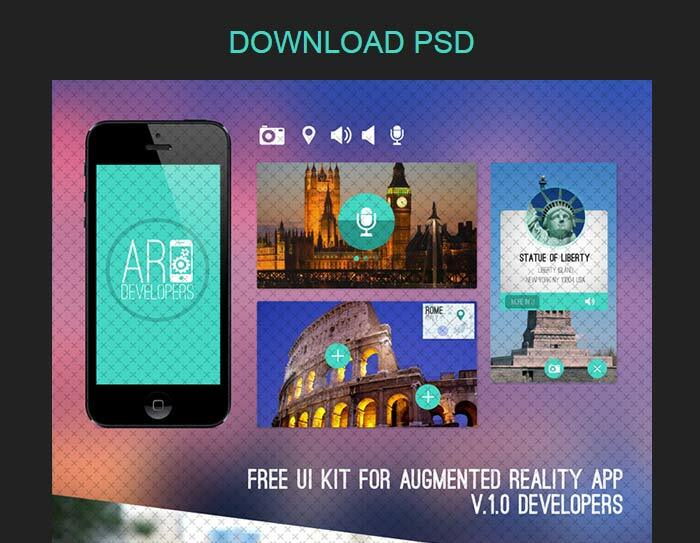 This Free UI Kit is for augmented reality App. Free Download UI Elements Psd Part 23 is ideal for icon design, UI/UX and web design. 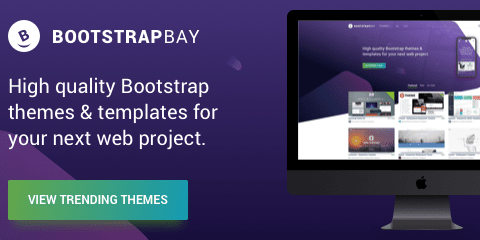 It comes with a flat UI kit freebie, 80 shades of white icons (PSD and SVG), iGravity 4 Screen Layers FREE PSD, Clean & Flat Web Portfolio Design and Free Dashboard UI KIT Psd. 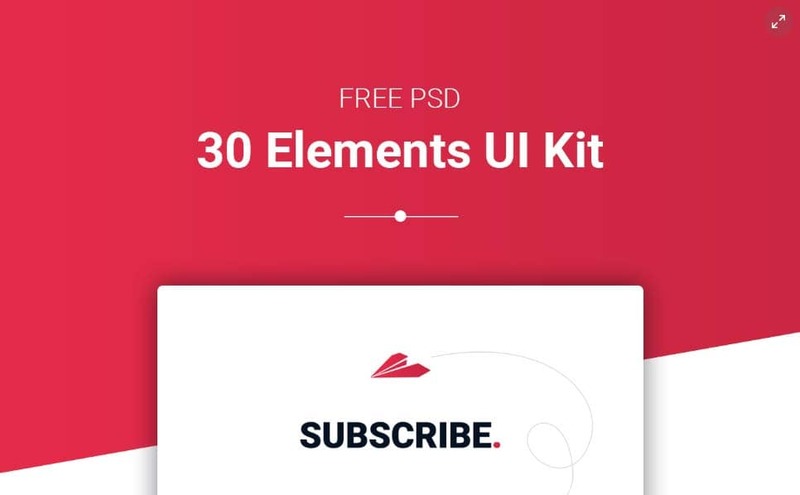 30 Elements Free UI Kit has a clean, modern and well-layered PSD file for web design and UI/UX. Waqart UI Kit PSD has amazing typography, color pallete and gradients etc. for graphic design, UI/UX and web design. 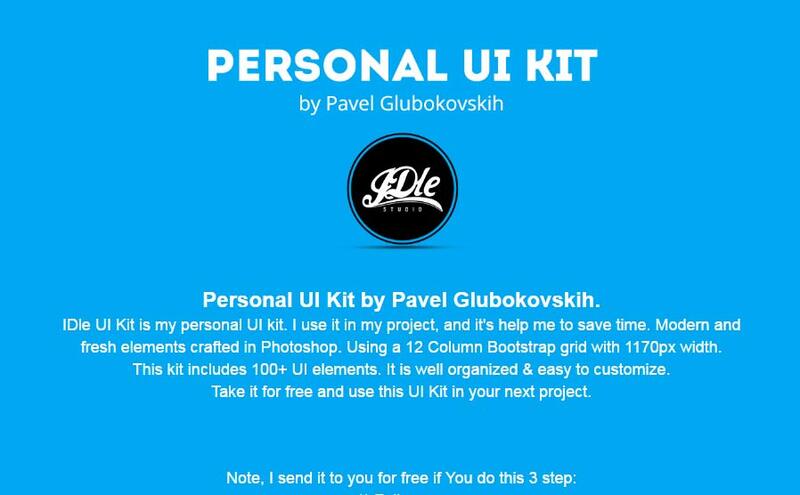 Personal UI Kit is a free UI kit with fresh and modern design. 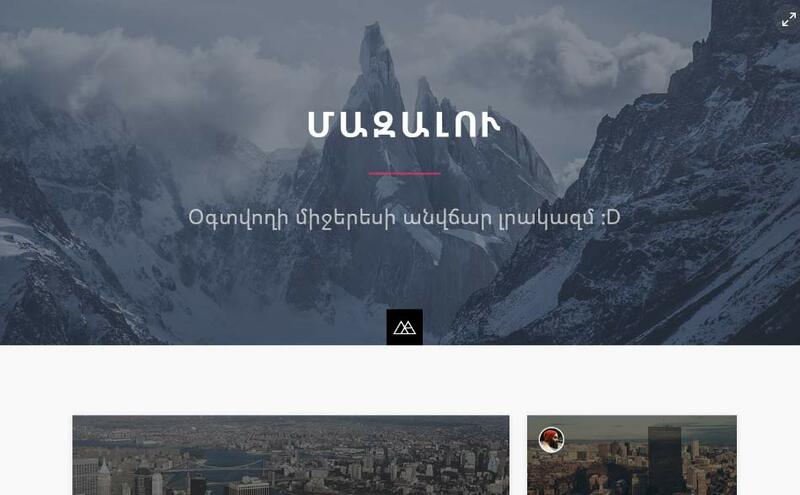 It has 100+ elements, built using 12 column bootstrap with 1170px width. 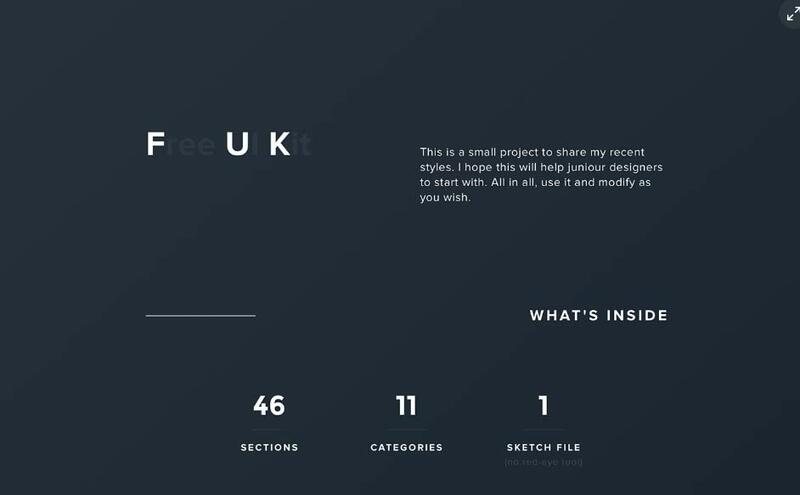 FUK is a free UI Kit for interaction design, UI/UX and web design. It has 46 sections, 11 categories and 1 Sketch file. 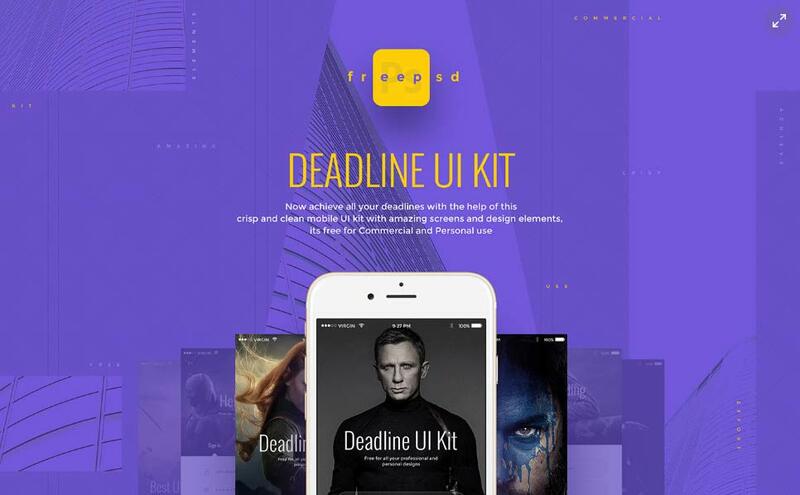 Deadline UI Kit is a free UI kit for art direction, graphic design and interaction design. This UI kit has a crisp and clean mobile UI kit for commercial and personal use.